YouTube Gaming Festival’s brand new event, Legends of Gaming Live is all set to begin at London’s Alexandra Palace from September 4 to September 6, 2015. 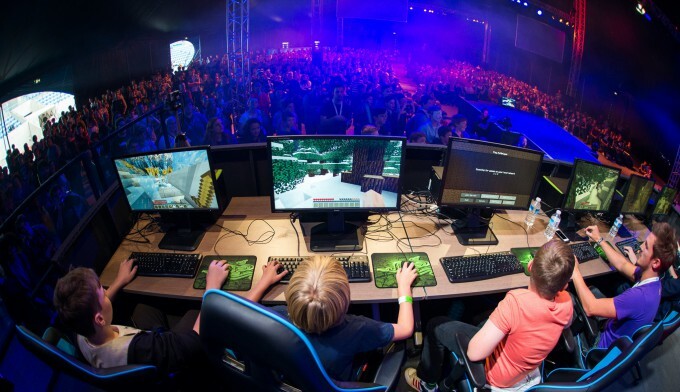 The three day event will offer the ga,ers a chance to have hands on their favourite video games as well as see top YouTuber’s like the Ali-A, Dan The Diamond Minecart, Syndicate and many others competing head to head in tournaments live on the stage. The event is expected to be jam-packed and filled with interactive visitor features. There more as the fans can have their hands on attempting to beat the Guinness World Records held by Syndicate and Ali-A in the Syndicate Zone. The gamers who manage to beat the champs at their own game will have an official Guinness World Records certificate and can even make an appearance in the Guinness World Records: Gamer’s Edition 2016. The event will also have a Pro-Gamer Challenge, where the visitors will have an option to challenge their favourite pro-gamer, streamer, YouTube or even the world champion. Other features include the Tournament Zone where the fans can team up and compete against each other and the legends of Live TV Studio. The event is a must for any console gamer and there will also be specialist indie zones and retro zones.